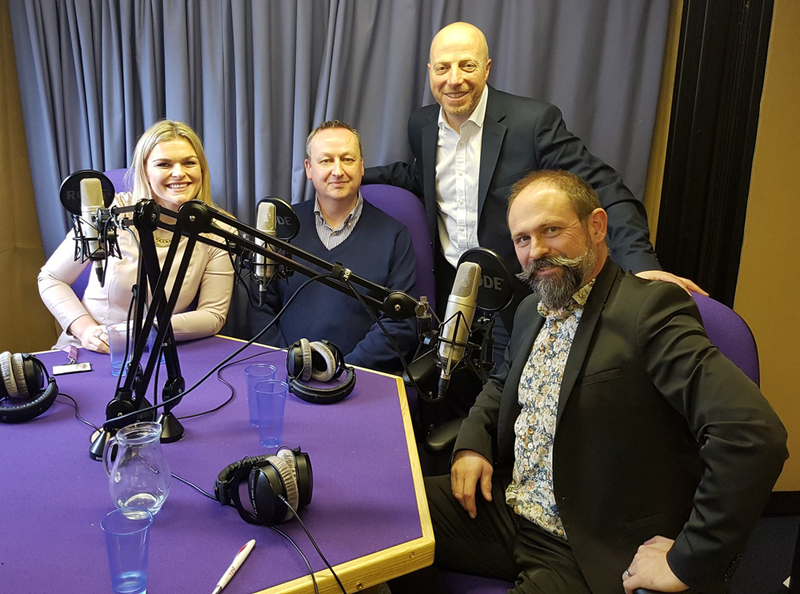 Produced in partnership with Communicate Magazine and recorded at the Church of England’s new radio studio at their head offices in Westminster, this episode looks at what it takes to create award winning content. Russell Goldsmith spoke to some of the winners from the 2018 Communicate Magazine Corporate Content Awards. Andrew Thomas, Founder of Cravenhill Publishing, the publishers of Communicate magazine and the organisers of the Corporate Content Awards. We also hear from Nathanael Moyers, Head of UK Corporate Communications at Arcadis and Ashish Babu the Chief Marketing and Communications Officer for Tata Consultancy Services in Europe and the UK. The Corporate Content Awards took place in February 2018, where this show won Silver in the Best Use of Audio category for episodes 54,55 and 56 that were sponsored by Microsoft that we recorded at their Future Decoded event at the end of 2017, so it was a great night for team csuite podcast at the awards and we were thrilled to get that recognition. Amaris & Tim’s, however, came away with one better in their respective categories and were both Gold winners. Whilst it could be argued that there are already plenty of awards within the marketing community, Andrew explained that there are no others that specifically focus on corporate content. He said that advertising is on the decline, but companies are realising that by telling stories, with their own unique library of assets, they can create a relationship with their different audiences (investors, employees, regulators and of course customers) and that connection is a much stronger is a mnuch stronger message than passive advertising. He added that the rising ways that companies are using this content is also reflected within the organisations and there was nothing that reflected that growth in communications tools. Amaris explained the aim of the campaign was to bring the Church into the 21st century – she said the Church of England has over 16,500 churches – and for people to see some content from the national church and then to go the Church of England’s Church Finder tool and connect with a church to start a relationship. The campaign consisted of a series of videos which saw people share their moments of joy at Christmas and included the Gogglebox vicar Kate Bottley and ‘Becoming Reverend’ author Reverend Matt Woodcock. Videos were watched by 750,000 people, and viewers were encouraged to share their own experiences of joy at Christmas, which were collated by the Church as Twitter moments, Facebook albums and Instagram galleries. All churches were encouraged to use the joytotheworld hashtag. More than 1.5million people saw this Church content when this campaign ran in 2016 (in 2017 they actually reached over 6m) and some parishes shared anecdotal feedback that attendance was up by as much as 25%. Amaris’ team is only a year old and now consists of five people, so the campaign relied on volunteers within the church. Andrew was not surprised to see an entry to the awards from the Church as all religions are great storytellers. He added that there is huge competition at Christmas to reach the audience but Amaris commented that the Church obviously has a much smaller budget than the likes of John Lewis [John Lewis were reported to have spent around £7m on their Christmas TV ad campaign], so they targeted advertising on Facebook and Instagram and they placed content in right place. Amaris uses a lot of anecdotal evidence at local level to measure success, but the award win will help to raise awareness too and give credibility to the team internally and recognition in the industry too. They are starting to do more research surveys after the events as well. Arcadis is a design and consultancy firm for natural and built assets. They deal with infrastructure, housing, and commercial property on all levels except the actual build, so from architectural design to working out the costs. Their winning campaign, Talent Scale Report, was aimed to excite and ensure the content was accessible to a wide variety of people and to inform clients and the wider world of the issue of the skills gap [in the construction industry] by putting a number on the number of people the UK is going to need if we are going to build the houses and the major transport and energy infrastructure that the country needs in order to safeguard its future for prosperity and quantify what the consequences would be, relating to this, of a hard or soft Brexit. Andrew said this campaign was fantastic and that Arcadis owned the conversation. The research findings were quoted in House of Commons and even in the Queen’s Speech. Tim explained that print works for the British Heart Foundation (BHF) as the core audience is over 60. Over 250,000 copies of Heart Matters are distributed in hospitals and doctors’ surgeries and print is easy to share. He said that magazines are very good for creating a relationship with readers and the goal is for BHF to be a friendly expert for people with heart conditions and their families. Tim said they use regular reader surveys to measure the success, there is also a patient panel that act as a focus group on each magazine, plus Google analytics is used to look at which online content is consumed. Built a digital storytelling platform dealing with themes such as The Planet, Education, Equality and Inclusion – hot topics at WEF, but they spoke about them simply, stories such as how drones are helping to save endangered animals in Africa (see video below) and protect forests in Europe. There was emotion in the stories. Tata measured the success of the campaign on social media, where they had more than 10million impressions on Twitter, but their data showed which stories were getting shared and were of interest. Each of their blogs, for example, got over five minutes of readership time, which meant their content was cutting through the noise and that there was a genuine interest in the stories that they were putting out.